In Cape Douglas, fur sea lions and Galapagos sea lions mingle with the snacking marine iguanas and "zoom-past-you" penguins. A visit to Mangle Point allows visitors to witness the amazing views and wildlife on the Coast of Fernandina Island. This is a small inlet on Fernandina's coast where you can snorkel to your hearts delight and watch playful sea lions, curious penguins, and also catch a glimpse of where flight less cormorants reside. The Galapagos Islands were formed by a "hot spot," or a place under the earth's core that causes the crust above it to form volcanoes. As the earth's crust, in this case the Nazca Plate, moves across it, a series of volcanoes forms, resulting in a chain of islands more or less in a line. In Galapagos, the Nazca Plate moves from west to east over the hot spot, forming volcanoes (which in turn form islands). 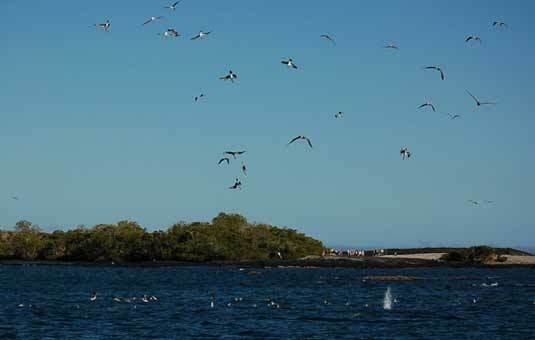 The oldest island in the Galapagos is therefore the one furthest to the east, or San Cristobal. The westernmost island, or Fernandina (British sailors named it "Narborough" but the Spanish name stuck), is the youngest. It is named for King Fernando of Spain, the monarch who sponsored Christopher Columbus' 1492 voyage of discovery. 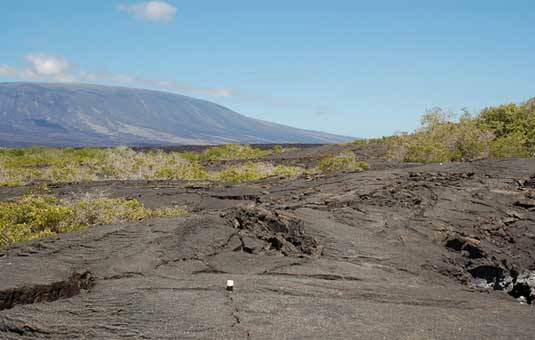 It is also the most volcanically active and several serious eruptions have occurred there, the most recent in 2005. 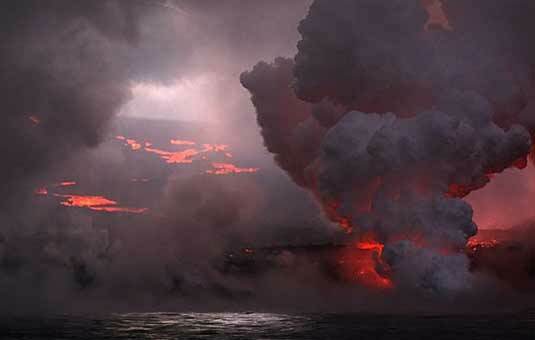 In February of 1825, Benjamin Morrell, captain of the British whaling ship Tartar, was passing between Fernandina and Isabela when the volcano on Fernandina, known as La Cumbre, erupted: he barely managed to bring his ship to safety. Tar was melting off the rigging as he fled, finally anchoring some fifty miles away. Some of the crew fainted from the heat and suffocating air. 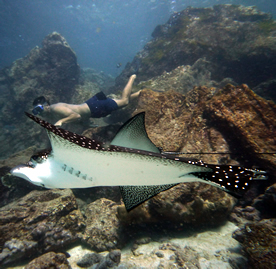 Because of increased volcanic activity and its relative youth, Fernandina is home to less plant life than some of the other islands, including neighboring Isabela, but it is rich in animal life. Most of the plant life consists of thick mangroves along the shoreline, which make an excellent home for shore birds and small fish which are an important link in the ecosystem. 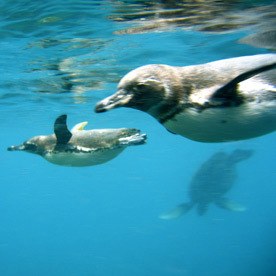 Fernandina and Isabela are home to most of the Galapagos penguin population, and they are commonly spotted on Fernandina's rocky shores. 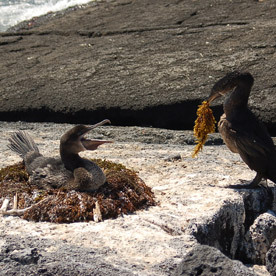 The endemic flightless cormorant, the only cormorant in the world that cannot fly, is only found on Fernandina, although they do occasionally nest on Isabela. There was once a variety of giant tortoise on Fernandina, but it is now extinct. Unlike other extinct species of Galapagos tortoise, the Fernandina subspecies did not die off due to humans: the fossil record indicates that it died off naturally, mostly due to volcanic activity and lack of nesting materials and food. 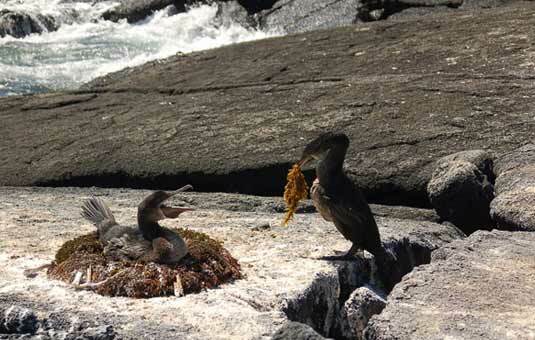 Fernandina is famous in Galapagos for being the most pristine of the larger islands. It does not suffer from the invasive introduced species that plague the rest of the islands, such as rats, ants, goats and different plants. In fact, there is a species of rice rat on the island that is endemic: on other islands, native rats have been muscled out by more aggressive introduced rat species. Fernandina is home to a population of Galapagos land iguanas. These iguanas make a long journey from the rim of the volcano to the floor of the caldera, where they nest. They are rarely seen by visitors, but can be seen on the National Geographic video "Dragons of Galapagos." The only visitor site on Fernandina is Punta Espinosa, a maze of sandy trails through interesting lava floes. It is known for the colony of hundreds of marine iguanas that live there as well as a sea lion nursery, some flightless cormorants and the occasional Galapagos hawk. There are also several tidal pools, which are home to a specialized ecosystem and occasionally trap a sea turtle or stingray.